One event I am looking forward to is the start of the Jester Challenge which will take place 1400 BST, Sunday, 11th May, 2014 at Plymouth. I shall not be there as a competitor, but as a spectator. Dreaming continues, but reality overrules! Most of my sailing these days is from the armchair. 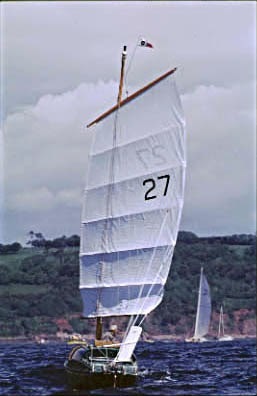 Nevertheless, if I can make it to Plymouth with ‘Minnow’, my Paradox sailboat, either by sea or by road, I shall be excited by the gathering and the send-off. engines may be fitted but only used to charge batteries for equipment such as mobile telephones, steering and navigation systems. The sole exceptions to this, within the spirit of the Jester Challenge, would be the avoidance of an imminent ‘mayday’ situation; responding to a distress call from a fellow seafarer or when within the harbour limits of an intermediate port en route. If the use of an engine - or the acceptance of a powered tow from another vessel, whether a Jester Challenger or not - becomes necessary to meet, for instance, a personal time limit or, simply, to avoid a frustrating calm, then the details should be declared on arrival to fellow Jester Challengers. By common agreement - and using the co-ordinator as an arbitrator if there is no common agreement - the arrival order may then be amended. 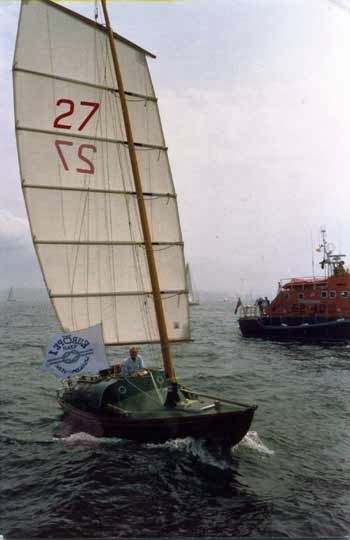 only hint of bureaucracy will be the signing of a form of indemnity accepting the skipper’s full duty of care for himself, his dependants and his fellow seafarers during his participation in the JC 2010. Hello Bill, it's my earnest hope that you watch the start of the Jester Challenge, preferably having travelled there in Minnow, with of course, you daily blog to keep us all enthralled. I have yet to finish and prove 'Minnow' by testing her. If she is satisfactory, and I'm up to it, I may attempt the Channel cruise. Getting to Plymouth before 11th May could be a real challenge. I would need to leave the River Crouch early in April, allowing at least 4 weeks for the 'voyage'. Unless these strong westerlies we are experiencing calm down, the chance of success is not high.